FIXER UPPER 3-6 BEDROOMS OPPORTUNITIES: 1 move in residence as it is and improve over time. 2 R-60 zone residential business nursing, dental, retirement, Airbnb, legal, religious etc. 3 Subdivide and develop, into 2-5 residential lots. It was 3 lots, before 2012. 4 flip. FEATURES: 1 lot 31,240 sf .72 acre lot. 2 5,742 sf of living space on two levels. o 2,871 sf finished lower level. o 2,871 sf attic storage. 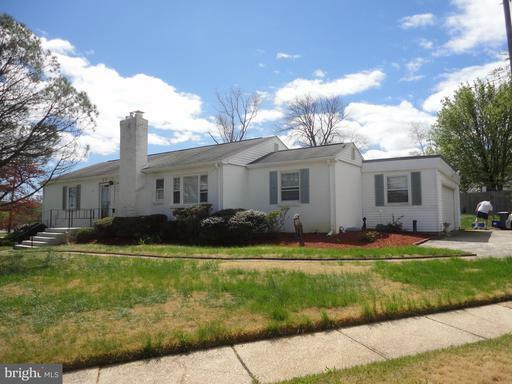 3 3 BR/3 BA + 4 offices convertible to bedrooms, waiting room, handicapped accessible half bath. o Two heating/cooling zones. 4 Ramp access from parking lot. 5 10 parking spots 3 covered. 61.5 miles 23 min walk to Metrorail. LAND AND/OR FIXER UPPER 3-6 BEDROOMS. OPPORTUNITIES: 1 Subdivide and develop into 2-5 lots. 2 R-60 zone residential business nursing, dental, retirement, Airbnb, legal, religious etc. 3 flip. 4 Residence - Move in as it is and improve over time. FEATURES: 1 lot 31,240 sf .72 acre lot. o Was 3 lots, before 2012. 2 5,742 sf of living space on two levels. o 2,871 sf finished lower level. o 2,871 sf attic storage. 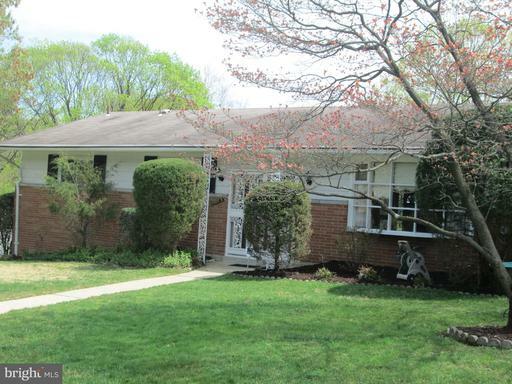 3 3 BR/3 BA + 4 offices convertible to bedrooms, waiting room, handicapped accessible half bath. o Two heating/cooling zones. 4 Ramp access from parking lot. 5 10 parking spots 3 covered. 61.5 miles 23 min walk to Metrorail. Welcome to your urban oasis in the heart of the city: light- filled and spacious, complete with a gourmet kitchen and a breakfast bar that opens into the living area providing a perfect space for entertaining. This 1 bed, 1 bath includes a den that may be used as a home office or additional bedroom. Enjoy panoramic views from your private balcony. Washer dryer are located inside the unit; 1 garage parking space conveys. 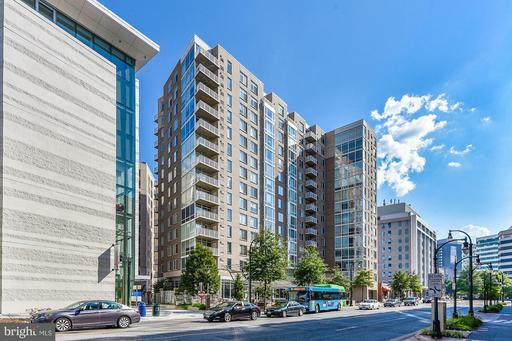 The Crescent is a pet-friendly building with an on-site manager, located just blocks from the metro and steps to Whole Foods, restaurants, and entertainment.Residents enjoy access to the buildings fitness center,billiard room, and lounge. This home is practically brand new - new kitchen, new bathrooms, new deck, recessed lighting, fresh paint - all you have to do is move in! Imagine entertaining in your open-concept kitchen with granite countertops stainless steel appliances; talk to your guests in the family room with cozy fireplace. Take the party out to your new deck, which backs to trees. Retreat upstairs to your private owners suite with new en-suite bath and storage galore! Your walk-out basement gives you even more room to spread out with its two bonus rooms, great for movie den or office. 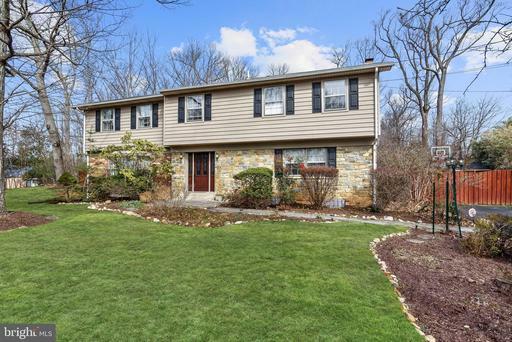 All of this and a great location - near major commuter routes, but nestled in the quietest part of the community, just down the road from the Tanglewood pool, playground tennis court. This is the one you have been waiting for! Youll love the renovated kitchen and addition which gives you the open concept, perfect for entertaining. Take the party out on your large, screened-in porch. The main floor features hardwood floors some under carpet two bedrooms full bath. Retreat upstairs to a luxurious-sized owners suite, complete with its own sitting area large bath, plus additional small bedroom perfect for a nursery or office. The basement is finished and features yet another bonus room. Home has been lovingly maintained by the owners and is just waiting for your personal design touches to make it your own. 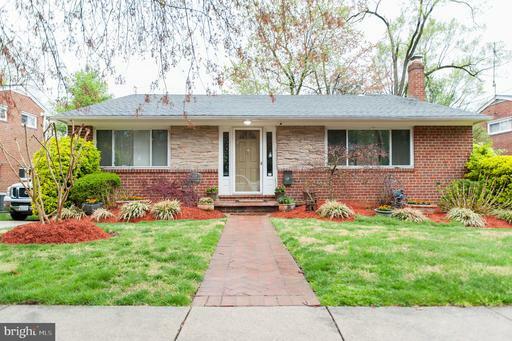 This is the one you have been waiting for - all brick home in Woodmoor neighborhood that is move-in ready! Youll love this home the moment you step in. It is light bright with the warm glow of original hardwood floors. Youll love cooking in the renovated kitchen. Large windows let the light stream in. Updated bathrooms. Full basement with bonus room and plenty of storage . 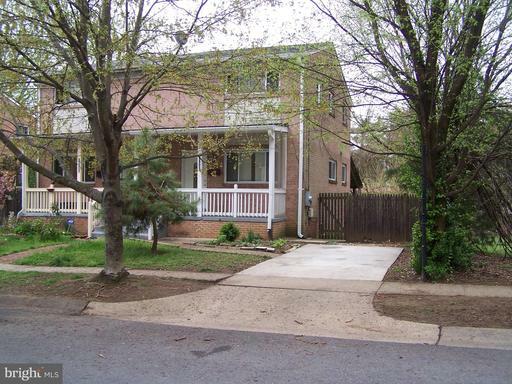 All of this and a great location, close to beltway, dining shopping. Montgomery Blair and Pine Crest school district. Get ready to see it soon - it wont last! 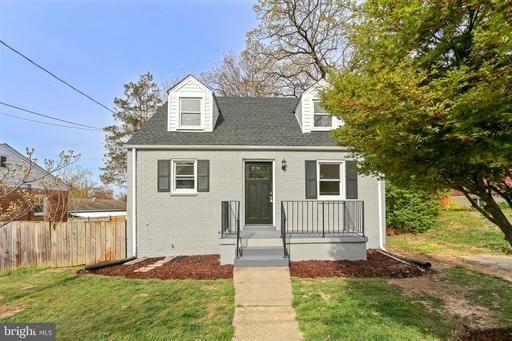 Adorable and surprisingly larger cape code convienlently located in Silver Spring near the soon to be completed purple line! 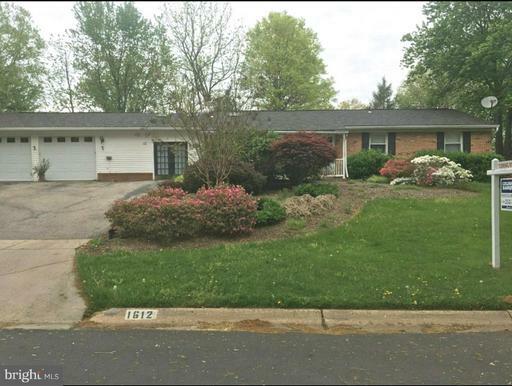 This lovely home offers 5 large bedrooms, 3 full baths plus a fenced yard and patio! Recently painted and updated! Perfect starter or family home! Fabulously expanded Sherwood Forest freshly painted colonial with over 4000 sf of finished space. Updated kitchen and baths. Fantastic natural light filled Great Room with vaulted ceilings off kitchen that opens to screened porch and wrap around deck. Great floorplan for entertaining - no dead ends. 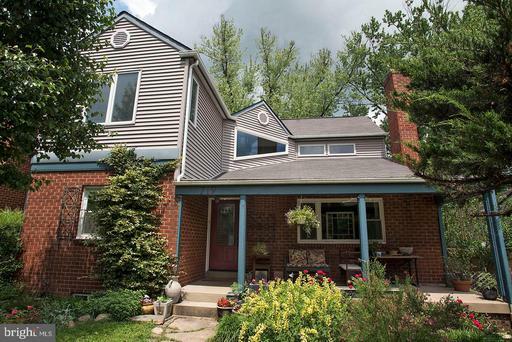 Four large bedrooms on upper level with two new remodeled baths. Hardwood floors on upper level and main level have been refinished. Large open daylight basement with new carpet. Oversized two car garage with new insulated garage doors and separate workshop. New roof to boot! Private 55+ Gated Community!! This beautifully appointed two bedroom with a den condo is a short distance from the elevators!! It has a table space kitchen, living room and dining room with built-in shelves and cabinets. The living room, master bedroom and second bedroom all access the enclosed balcony which is climate controlled with a spectacular view!! Leisure World has a Club House I with restaurants, outdoor pool, golf and daily activities for its residents. It also has a post office and banking for your convenience. Club House II has a beautiful state of the art gym, indoor pool and a theater. Conveniently located to Washington DC, ICC MD 200 for easier commutes to Baltimore or N. VA. So much to offer!! 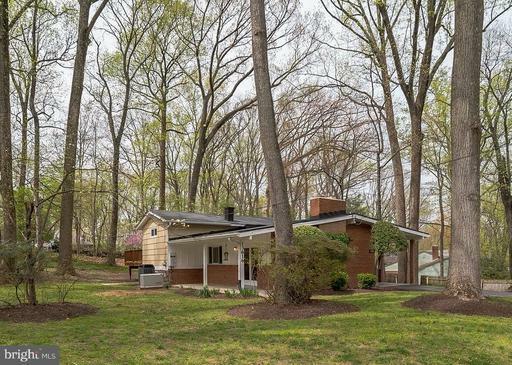 Gorgeous mid-century modern contemporary on private half acre lot! Freshly painted, hardwoods refinished, new carpeting, windows and doors replaced, kitchen and baths updated. The master bedroom walks out to a beautiful deck, which leads to the patio and yard. The patio can be accessed from the kitchen level. The room staged as a dining room can also bea family room, and the entry level office can be a fourth bedroom. Laundry/mud room just off the kitchenTwo fireplaces - awesome home! 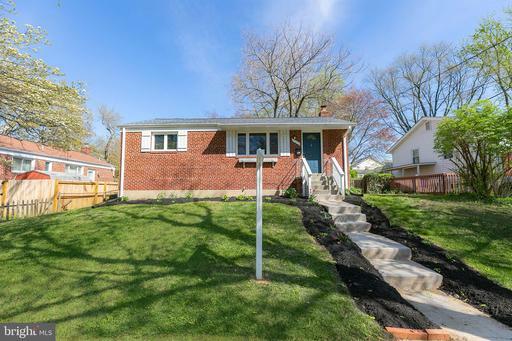 Welcome to this renovated and meticulously well maintained home! 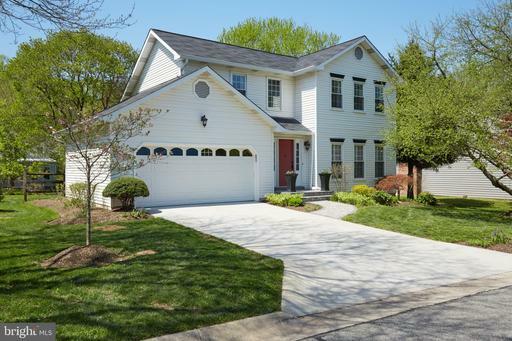 Light and bright throughout, this home is truly move-in ready. 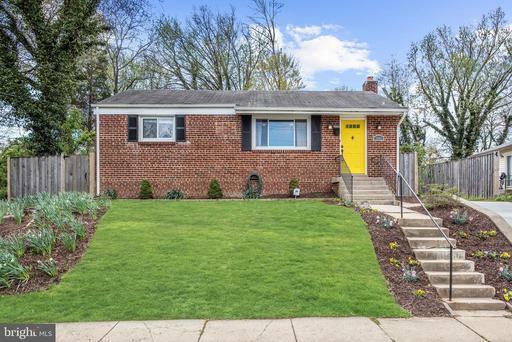 Fresh paint, crown molding, updated kitchen and baths, this one has it all! 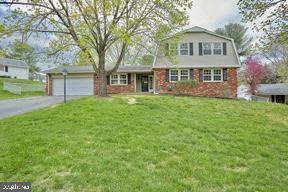 Four bedrooms, two full baths and an additional bonus room with plenty of storage throughout. Kitchen features granite counter-tops and stainless steel appliances. Gorgeous landscaping and hardscaping, deck, flagstone patio and a large private fenced backyard w/access kitchen completes this home. Parking for 2+ cars plus ample street parking. Location! 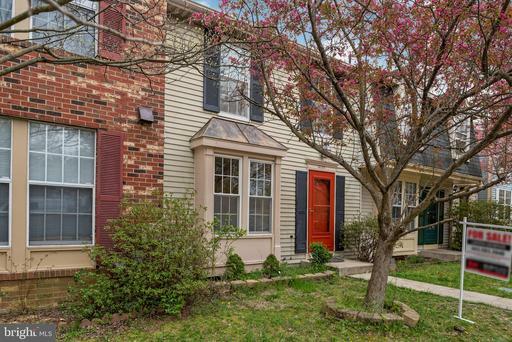 Close to Metro, library, Wheaton Regional Park, NIH, Walter Reed, major commuting routes, shopping, recreation and entertainment options! 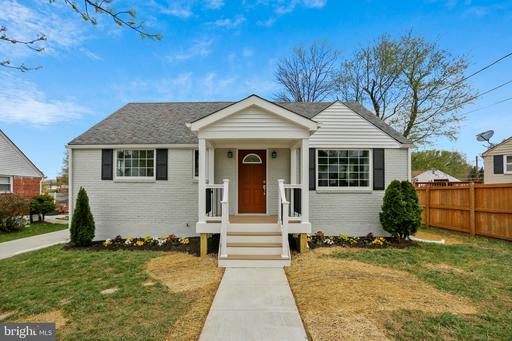 FULLY NEWLY RENOVATED! 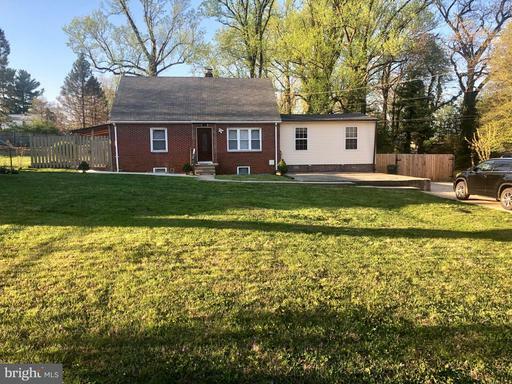 !New Kitchen and Appliances, All New 4 Full Bathrooms, New Hardwood Floors, Fully Spacious Finished Basement, New Recessed Lighting Throughout the House, New Large Deck, Fenced Huge Backyard! A MUST SEE!! Great Location!! Close to Metro and Shopping Center!! ALL THE PHOTOS ARE UNDER THE VIRTUAL TOUR! Listing Broker: Forum Properties, Inc. 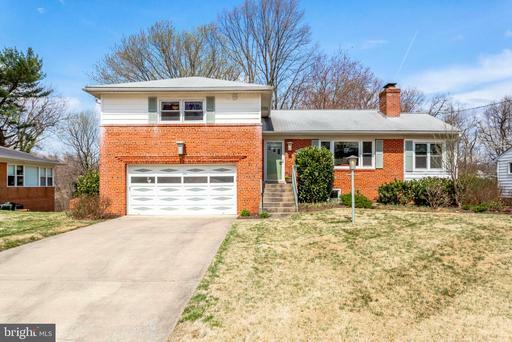 Spacious Raised Rambler in popular Woodside Forest, just steps to Sligo Park/Recreation and close to Metro, Shops, Restaurants, I-495, I-95 and D.C. 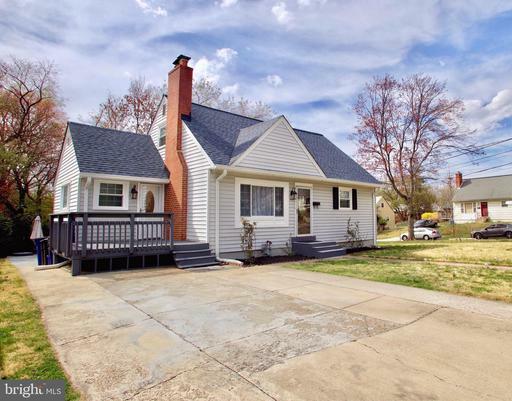 Generous sized rooms, newly refinished hardwood floors, freshly painted - move right in! 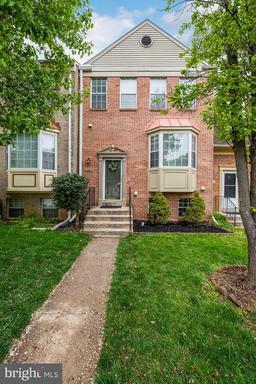 This Stunning town home is a prized Gem in the ever popular Silver Spring zip code! 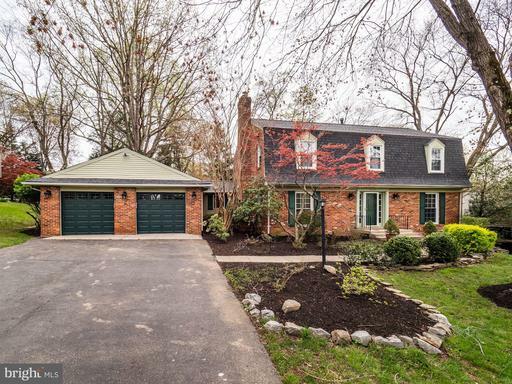 Renovated with painstaking attention to detail- this home boasts 3 Bedrooms, 4 Bathrooms and a Large Fully finished basement with Walk out that can be utilized as an additional Master/In-Law suite/Family room with Full bathroom and Walk in closet space. The living dining areas are spacious and full of light thanks to the open floor plan, tasteful hardwood floors and beautiful Bay window. Fully renovated Kitchen with Brand New Appliances throughout the house, including Light fixtures and ceiling fans and brand New Water heater. Not one, but Two spacious upgraded wooden decks are perfect for entertaining or just relaxing in. The home is situated in a very private and peacuful neighborhood but is a stones throw away from the Metro station, bus stops, Shopping centres, parks, restaurants and Highways. 2,800 sf brick rambler with new custom kitchen with wood cabinets, granite countertops, stainless steel appliances, and recessed lighting, beautiful refinished hardwood floors, sunroom addition, new furnace/a/c, oversized 2 car garage with 4+ car parking, deck, and fully finished lower level with complete inlaw suite with 2 dens/bedrooms. 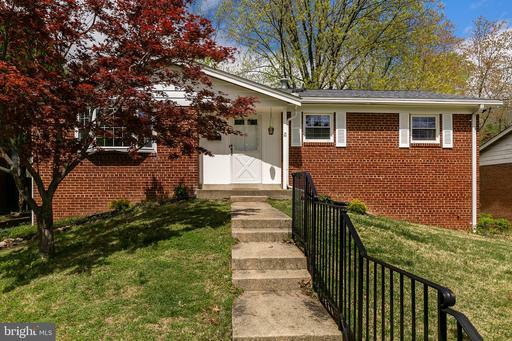 1 mile to the Beltway, 4 blocks to shopping center, and 1 block to public transportation. FDA just across the street. Beautiful home on over an acre of land impresses with bright and spacious interiors as well as high-end updates throughout! Renovated kitchen appointed with 42-inch soft close cabinetry, granite counters, stainless steel appliances including a gas cooktop, range hood and Viking wall oven. Hardwood flooring, recessed lighting and crown molding. 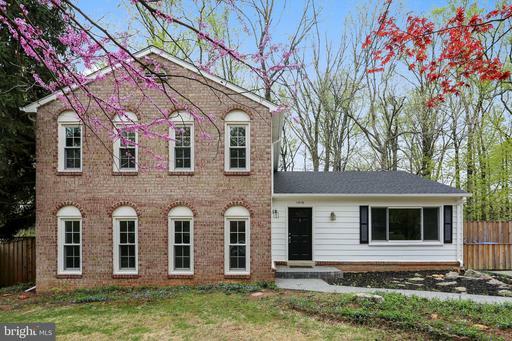 Family room adjacent to kitchen showcases a brick wood-burning fireplace and patio access. Main level office with built-in bookcases. 6 upper level bedrooms and 3 full renovated baths. Master bedroom features a walk-in closet and en-suite. Lower level recreation room and expansive storage room. Outdoor oasis includes a fenced yard, paver patio, in-ground pool and sport court. 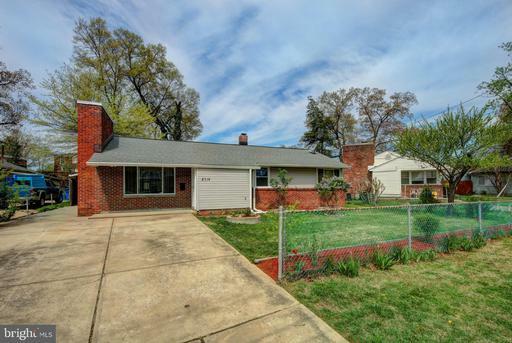 Property updates: pool, sunroom windows, bath updates, central a/c, water heater, and more! Beautiful and very spacious all brick home close to all amenities and Sligo Park trails.This beautiful home has 4 finished levels with ample living spaces in each. The main level has cathedral ceilings, separate living room and dining room, fireplace and a large updated eat-in kitchen with all newer appliances. This level accesses a screened-in porch overlooking the large back-yard and green areas. Upstairs you will find the master bedroom with en-suite bathroom, and two other large bedrooms that share a full bathroom. Go down a split level from the main floor to find a large family room with built-in shelves, another bedroom, half bathroom, as well as a large laundry room with storage. This level has its own separate entrance from the back-yard. One further split level down you will find an additional family room and another room perfect for a home office - home has ample storage space. Wooden floors on 2 levels. 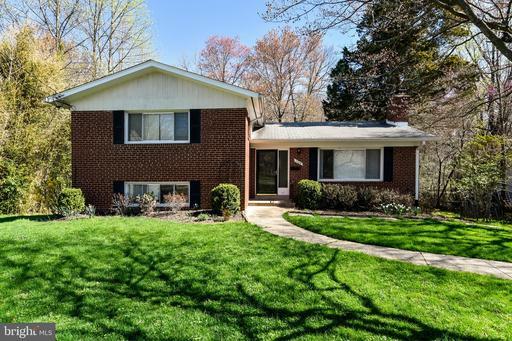 This home is located in a quiet neighborhood close to all amenities and green areas and sits in a large lot with mature trees as well as a walkway to the house and a long driveway. Beautiful property that comes with an above ground pool with 1 yr old liner, active fountain by the pool, very large 2 car garage and a recreation room! 2 separate driveways. Property is on 1/3 acre. Pictures, disclosures and floor plans are coming soon. Beautiful home, 5 bedrooms, 2 full baths. Excellent location. In-law suite in the basement. Updated kitchen. Nice landscaping. 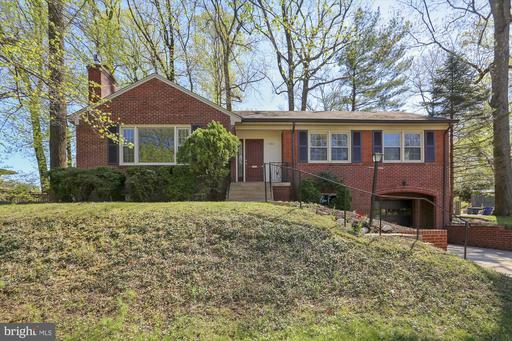 Completely upgraded four level split with fresh paint. 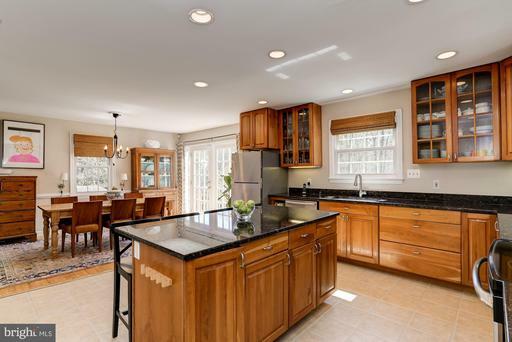 Lovely upgraded kitchen, Gleaming hardwoods, tons of built-ins. Chair rail, crown moulding and wainscoting throughout. Plenty of parking in and outside of the two car garage. Stone front. 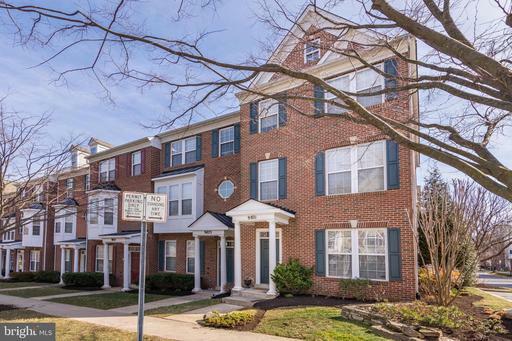 Easy access to shopping and the beltway. Great location! Location,location location. 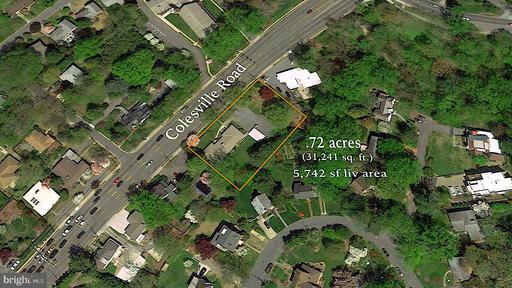 at the intersection of Md 200 New Hampshire ave. Rare opportunity to possibly create a subdivision of 4 to 5 detached homes in the 700-900k range. It also may have Commercial possibilities. 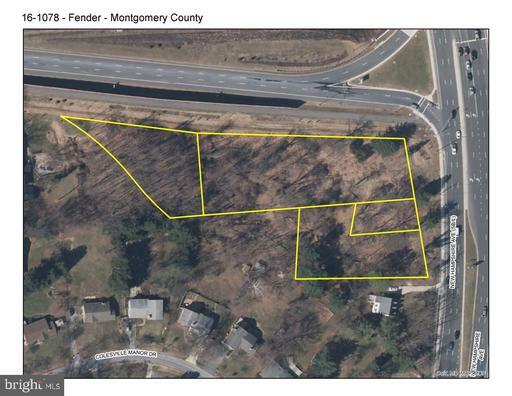 Approximately 2.67 acres comprising of 4 adjoining lots. Close to schools,places of worship, and shopping. 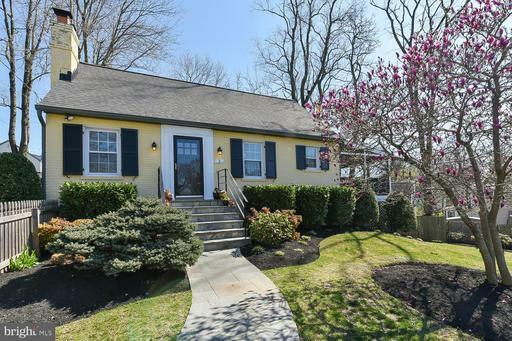 This Charming Cape Cod is just the right size, Cozy/Comfortable, beautiful well maintained home. Remodeled kitchen with granite countertops and stainless steel appliances, wine cooler included! New Roof, Gutters, AC and Furnace, New water tank, New Laminate floors upstairs and brand new carpet in basement. 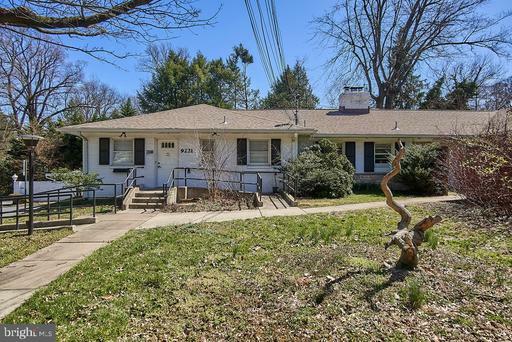 Conveniently located 5 miles to Silver Spring and close to Metro Station... Hurry this wont last long! 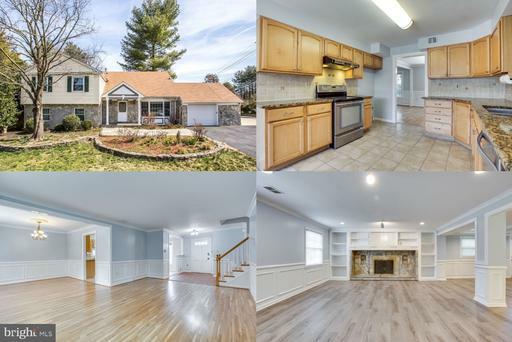 Dont miss this renovated 5 bedroom/ 2 bath farm house backing to Brookside Gardens Wheaton Regional Park and only a .5 mile walk to Glenmont Metro! Enjoy a country living feeling with all the convenience of being in a city! The original farm house has been expanded to include a gorgeous open kitchen and dining area that leads you to a deck overlooking the large back yard and parkland. The kitchen has 42 inch cabinets, granite counters, SS appliances and plenty of counterspace with a large island as the centerpiece. Also on the main level is a bright living room, family room, a full bath and a sizable pantry area. The lower level has plenty of storage along with a 2nd family room and the 5th bedroom. Upstairs are 4 sizable bedrooms, a renovated full bath, and a nice laundry area. This stunning home has potential for future subdividing ~ sell off the other lots or keep it all for your own enjoyment. 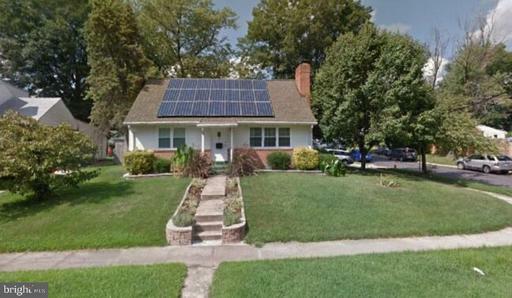 This home and yard are perfect for anyone who loves nature and/or gardening on top of that you can walk to the metro! Welcome home! Nearby: .5 mile walk or 1 mile drive to Glenmont Metro Station~Brookside Gardens - award-winning 50-acre public display garden located within Wheaton Regional Park~Wheaton Regional Park offers playgrounds, trails, stables, ice skating, gardens, dog parks, miniature train, boating/fishing, classes and more! Also nearby: Glenallen Elementary, John F. Kennedy High School, Wheaton Library and Rec Center and lots of stores restaurants. WOW! 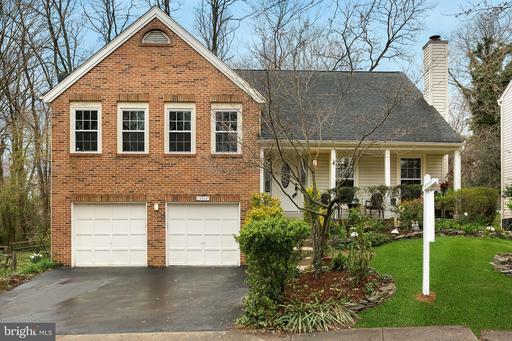 Lovingly maintained, deceivingly large Cape Cod in the ever-popular Glenview neighborhood. Originally built in 1953 and carefully updated by its owners since, 2002 Cascade Road has a large main level with redone hardwood floors and recessed lighting throughout, sun-filled living with fireplace and dining rooms with glass door access to rear covered porch, patio and yard, a gorgeously renovated kitchen with blue ocean granite counters, stainless appliances including pot-filler, modern acrylic custom cabinets with tiled pulls and soft-close drawers and matching modern backsplash, and three good sized bedrooms including master suite with attached bath, and hall full bath. 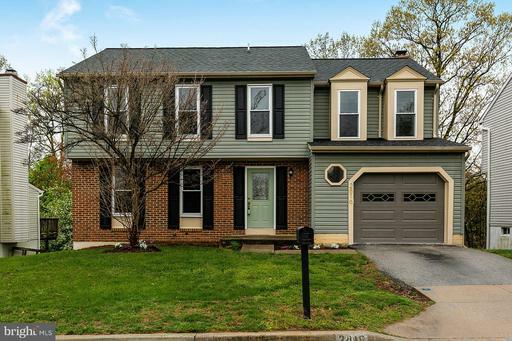 The extremely large lower level has new tile floor and carpeting throughout, a huge rec room with built-ins and bar, additional bedroom, half bath, and plenty of storage space from oversized laundry and utility rooms. The additional bonus attic space is perfect for a playroom, home office or future bedroom usage. 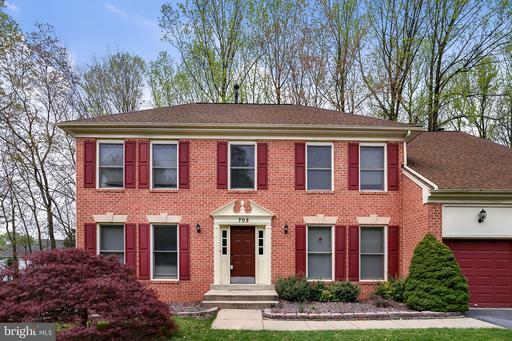 All this and just moments to Metro Wheaton/Glenmont, big box retail shopping, restaurants/vendors and other neighborhood conveniences in a very welcoming community with enviable schools, lovely parks, and public recreation spaces. 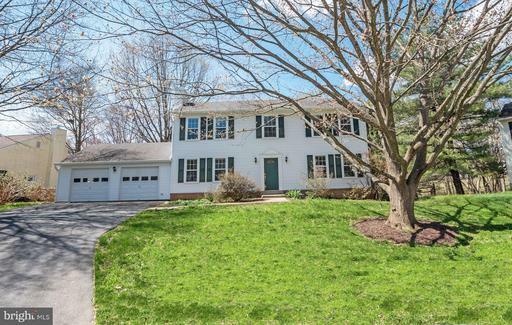 Beautiful, warm and lovingly maintained Home in the Paint Branch school area- just off of HW29! Spacious Master with Walk in closet as well as double closets for extra storage. Fully renovated Kitchen with new Flooring, Countertops, Light fixtures, Backsplash, appliances etc. Separate Dining and Living areas with a walk out to a peaceful updated Deck in a fenced in backyard. Large Fully finished Basement with Full bathroom and separate Laundry/storage area. Property has a history of a wonderful family that lived, loved and laughed in this home and are passing this on in immaculate condition along with all the lovely memories. 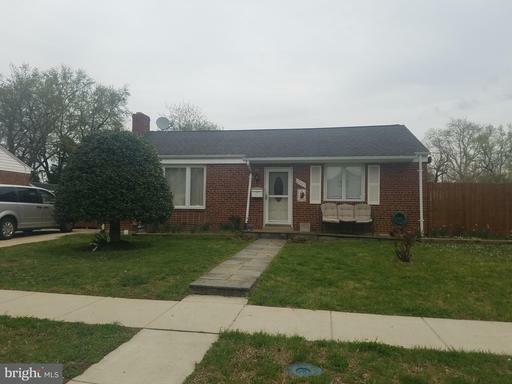 This home is situated in a very peaceful neighborhood, close to bus stops and all other ammenities and is ready for immediate possession! The home at Bybee Street is the product of love and attention by an award winning designer. Upon entering this completely renovated house, youll be welcomed by soaring ceilings and bright natural light. The interior and exterior finishes were selected with the utmost of care. The result is a stunning mid-century beauty adorned with contemporary touches. ~The completely renovated kitchen will inspire your inner chef with its European cabinetry, custom-made white oak countertops, island seating, large pantry and high-end appliances. Feast on herbs and vegetables plucked from the garden out back. Unique finishes can be found throughout the home, starting with the exterior siding which was recently replaced with Japanese style Shou Sugi Ban wood. Italian and Israeli tile can be found throughout the home in bathrooms and the kitchen. The original hardwood floors have been well maintained and recently refinished. Renovated top to bottom this Cape Cod maintains the integrity and charm of a home built in 1941 with high standards of craftsmanship and design. The owners have improved and meticulously cared for the home since 2006. The living room opens to an expanded galley kitchen, mimicking the original archways in the living area, and showcasing maple cabinetry, stainless steel appliances, and granite counters. Natural hardwoods grace the light-filled main and second levels. A circular floor plan on the main level includes two bedrooms and a full bath, while the second floor opens to a sky-lit master bedroom loft. The screened porch off the kitchen sits high on the property, overlooking a beautifully landscaped yard. 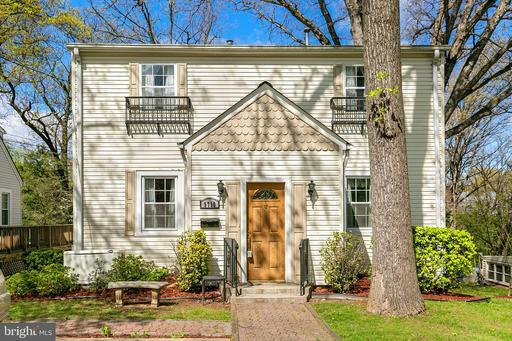 The spacious lower level has been completely refinished in 2017 with a full modern bath, big and bright laundry room, recreation and living areas, as well as a workshop / utility room, with a door to the back patio. South facing and set at the top of a cul-de-sac, this home brings community and all the offerings of Silver Springs entertainment, library, transit, retail and grocery stores. 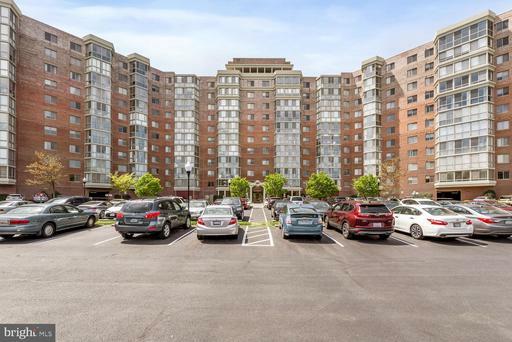 Enjoy easy access to the farmer~s market, Sligo Creek Park and Metro. 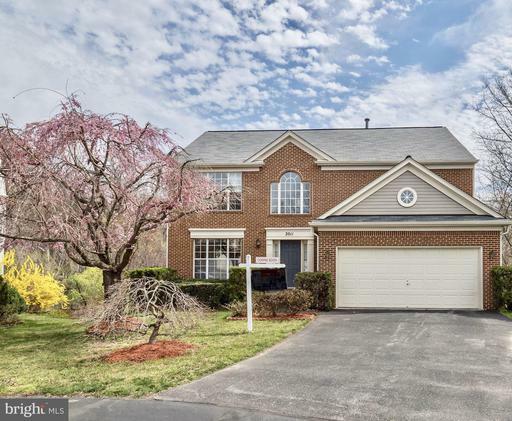 * Fully fenced .18 acres * Beautiful Pennsylvania bluestone front walk and steps 2015 * New roof and gutters 2019 * New A/C 2019 * New redwood shutters 2019 * New front door 2019 * New custom outdoor iron railings 2019 * The 672 SQFT finished basement contributes to a total living space of 1,896 SQFT. Welcome to a beautiful single home with 3 finished levels, 5 bedrooms, 2.5 Baths. Immaculate kitchen complimented by granite counters and stainless steel appliances. Freshly painted throughout! Home is filled with lots of natural lighting. Gorgeous features like charming hardwood flooring, a 2 story foyer and cozy gas fireplace. Basement includes an extra bedroom completed by a walk out that leads to a private wooded backyard. 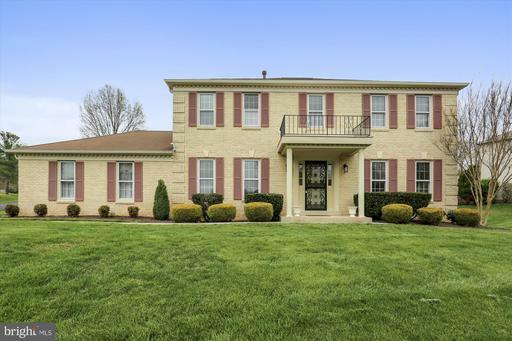 Enjoy overlooking a tranquil pond located in sought after Long Meade Crossing! Updates include NEWER heat pump, AC systems and water boiler. Roof is 1 year old!. Come by and see this BEAUTY! 255 results for: MD active "Silver Spring"